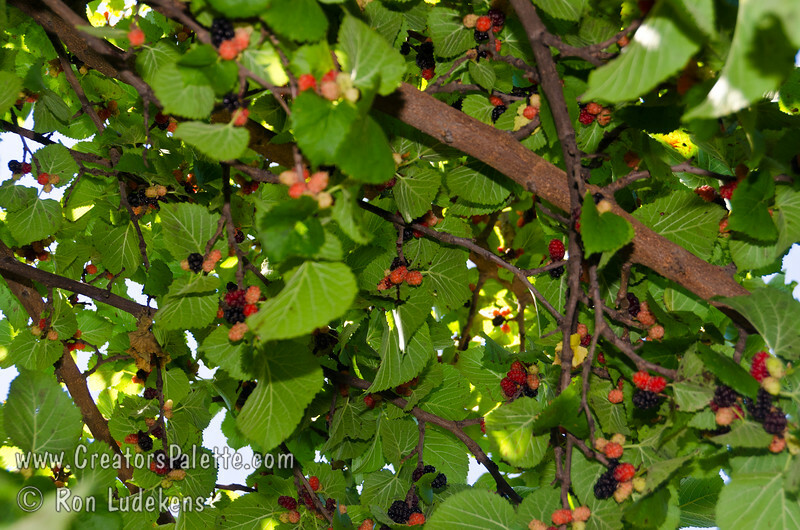 Persian Fruiting Mulberry - Morus nigra sp. Small spreading, long-lived bush or tree. Bears large, black, tasty fruit similar to blackberries. Height 20-25 feet but can be pruned to a hedge. Birds are highly attracted to berries. Cold hardy to 0 degrees F (USDA Zone 7). Self fertile.